At Los Gatos Audiology, our commitment to patient care was built around comprehensive science, patient empathy, and human trust. We do far more than offer hearing aid treatments. When you visit our hearing aid center, we also help you with comprehensive hearing rehabilitation in San Jose, CA. NeuroTechnology™, the new generation of hearing loss technology, is designed to treat the cognitive impairments caused by hearing loss. Unlike traditional hearing aids that are manufactured to simply make things louder, today’s treatment options restore clarity of speech in all listening situations, including rooms with significant background noise. There are several NeuroTechnology™ options available depending on the results of the hearing assessment. 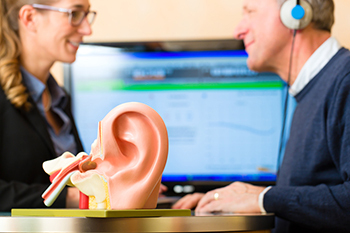 Our comprehensive program for auditory and hearing rehabilitation in San Jose, CA, will help you think faster, focus better, and remember more of what you hear. It is critical that treatment is scientifically verified and validated. ‘Real-ear’ measurements provide a method to objectively assess the accuracy and stimulation levels of NeuroTechnology™ when placed in the patient’s ear. Real-ear measurements are considered the “gold standard” method for achieving proper clarity and stimulation. Just like any great partner, we look forward to helping you and your family for generations. From hearing protection and preservation to hearing aids and follow-up hearing care, to education and outreach programs, we are your full-service center for hearing rehabilitation in San Jose, CA! Schedule your complimentary Los Gatos Audiology Hearing Consultation today to learn more about our program for hearing rehabilitation in San Jose, CA- we look forward to meeting you!